Since the inception of his legal career, Alan has specialized in intellectual property litigation. His 45 years of experience have included jury and bench trials throughout the United States for both plaintiffs and defendants in every type of intellectual property case. He has tried cases dealing with copyright, contract, interference with contract, libel, patent, trademark, trade dress and trade secret. Alan has a number of multimillion dollar jury verdicts in diverse technologies to his credit, including $30 and $22.5 million dollar verdicts in patent cases; a $31 million jury verdict in an interference with contract case, and a $30 million settlement for a client in a patent case. In 2003, Alan was the first patent attorney in Minnesota to be inducted as a Fellow into the American College of Trial Lawyers. In 1991, Alan was named one of “Minnesota’s Winningest Trial Lawyers,” and is consistently nominated as a Super Lawyer® in Minnesota Law & Politics magazine. He is listed in every edition of Best Lawyers® in America from 1991 to the present. 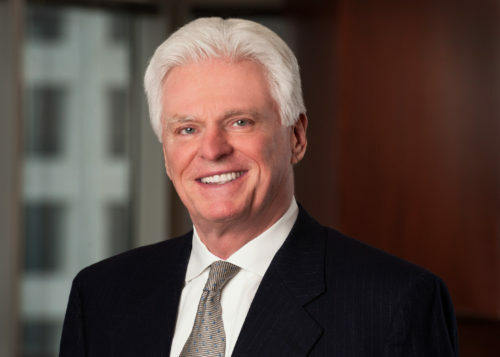 In 2009, he was honored by Minnesota Lawyer magazine as “Attorney of the Year.” In 2010, Best Lawyers publication named Alan as “Lawyer of the Year 2010, Intellectual Property Law – Minneapolis.” He is also regularly named as a top IP lawyer by Managing IP, Corporate INTL, Chambers, and other leading industry publications. Alan also has, over the course of his career, represented clients in a multitude of contested proceedings in the U.S. Patent Office. This includes more than a dozen Inter Partes review proceedings authorized under the America Invents Act. Alan’s clients have included patent owners as well as patent challengers. In addition to his trial work, Alan counsels clients on general intellectual property issues from a litigation viewpoint.